(Newser) – It's official: The US won't level any criminal charges over harsh interrogation techniques. Attorney General Eric Holder yesterday closed the final two cases involving the deaths of prisoners in Afghanistan and Pakistan in 2002 and 2003, the New York Times reports. 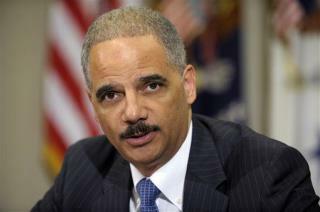 The move brings a three-year Justice department investigation into prisoner abuse to an end. "The department has declined prosecution because the admissible evidence would not be sufficient to obtain and sustain a conviction beyond a reasonable doubt," Holder said in a statement. Does D.A. stand for Doormat attorney? your supremacy is not going to last forever. good old "fast eric" is the one to prosecute!